ONLY 15K MILES! 1-OWNER! CLEAN CARFAX! LOADED WITH OPTIONS! LIKE NEW! KBB VALUE IS $35,596! 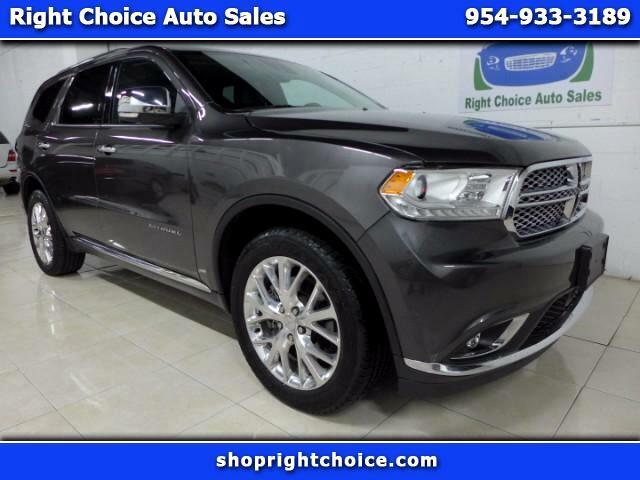 WE CAN DELIVER THIS DURANGO CITADEL AWD TO ANY DRIVEWAY IN THE COUNTRY! VISIT OUR WEBSITE AT WWW.SHOPRIGHTCHOICE.COM TO SEE 100 PHOTOS, THE FREE CARFAX, AND MORE INFO ON THIS LIKE NEW CITADEL! KELLEY BLUE BOOK VALUE IS $35,596!